Areas to live in Sydney – info from a local! Sydney is a sprawling metropolis of some 4.5 million inhabitants either living by the harbour, close to the beach or inland amongst the state and national parks. I was fortunate to meet a Sydneysider in my twenties who ultimately became my wife, bringing me to the land down under to live in Australia’s largest and most iconic city. Sydney is a city of a hundred mini-cities. Each suburb is quite different to the next, with the metropolitan area split into five regions – Inner Sydney, North Sydney, Western Sydney, South Sydney and the Eastern Suburbs. While the suburbs differ, the cost of living often doesn’t, explaining why Sydney is ranked as one of the world’s most expensive places to live. The centre of Sydney consists of office buildings and tourist attractions; however, there are a number of interesting suburbs where apartments and town houses sit contently side by side. On the east side, Paddington is a delightful area offering a mix of houses, apartments, funky shops and trendy bars. Just up from Paddington is Woollahra with its antique shops and good bus links into the city. Some busier inner city suburbs such as Kings Cross, Darlinghurst and Redfern should generally be avoided when it comes to finding a place to live. In the inner west, a culturally diverse range of suburbs await, including Leichhardt, Marrickville, Ashfield, Newtown and Dulwich Hill. These suburbs are some of the oldest in Sydney and the proximity to the Sydney central business district (CBD) makes it ideal for city commuters and those seeking a multicultural alternative. The north of Sydney is effectively on the other side of the Harbour Bridge. Largely speaking, it’s an area where the cost of living is extremely high. The proximity to water and the fact that some of the best hospitals and schools can be found here can explain why house prices are staggeringly high. However, many expats still choose to move to these suburbs in search of the beach or bush and typical Aussie lifestyle dream. Suburbs from Manly right through to Palm Beach may as well be taken from a postcard with picture-perfect views and many outdoor pursuits. Areas like Turramurra and Warringal are pricey, tree-lined, and with well-kept gardens and beautiful stone and brick houses. Travel is adequate from the upper North Shore with decent rail links peppered throughout the area; however, the Northern Beaches suffers from a lack of rail and experiences snarled roads at most times of the day. Western Sydney covers a large area, making up the bulk of metropolitan Sydney. 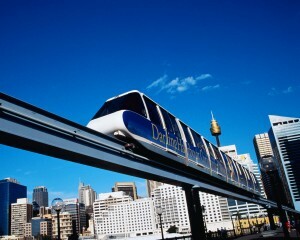 It has comprehensive links to Sydney via a number of busy highways and train routes, while housing is generally cheaper than the closer city suburbs. To the south west of the city is Campbelltown, Liverpool and Cabramatta, while directly west beyond Parramatta is Penrith and the foot of the Blue Mountains. The west is filled with stereotypical Australian suburbs – street upon street of cookie-cutter houses or orange-brick bungalows. And, in summer, these areas get extremely hot with bushfires a common occurrence. For me, it’s an area too far removed from the city and ocean, a place where someone would go for a bargain property purchase and a life of work and schools and shopping trips. South of the city is a region populated with a mix of ethnic immigrant groups and Australian-born citizens. Sutherland Shire has excellent rail links into the city, with an average journey taking around 35-45 minutes. Often viewed as Sydney’s best kept secret, the ‘Shire’ has manageable house prices and convenient access to beaches and national parks, with a fairly low crime rate. Nearer the water, Cronulla is the main beach suburb with train access to the city. Brighton-Le-Sands is just 13km from the city and sits on the western shore of Botany Bay, although the views of both oil refineries and airport can be a bit off-putting. Even closer to the city are the suburbs of Petersham and Alexandria with charming terrace houses, plus the rapidly expanding Zetland with its popular and modern high-rise apartment blocks. The area between the CBD and the ocean on the south side of the Harbour Bridge is known as the Eastern Suburbs. It’s a truly expensive part of town with suburbs alongside the harbour such as Watsons Bay, Vaucluse and Double Bay among the most costly in Australia – grand, opulent houses sit prominently by the harbour with million-dollar view upon view. Most of the suburbs are known for their eclectic cafes, fine dining and quirky shops, while brunch on Sundays is a favourite pastime of the locals and visitors alike. 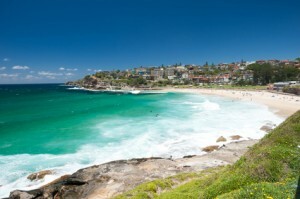 Although ocean-side suburbs including Bondi, Bronte and Coogee can become quite busy in the summer months and are not the easiest places to commute from, they are a beach lover’s delight. They also symbolise much of what makes Sydney a fantastic place to live –the world’s most beautiful beaches only a stone’s throw from a vibrant, exciting world-class city. Russell Ward is a British expat living on Sydney’s Northern Beaches where he writes about his search for a life less ordinary at www.insearchofalifelessordinary.com, one of Australia’s leading expat and travel blogs. He also writes for businesses and brands at www.theinternationalwriter.com and can be followed on Twitter and Instagram as @russellvjward.